Enjoy surfing and windsurfing during your holidays in Portugal. 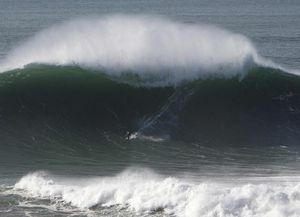 Surfing is practiced year-round in Portugal, since the Portuguese coast enjoys good waves every day. The wide variety of natural conditions and the exceptional climate of Portugal provide truly unforgettable experiences for everybody: from beginners to masters! 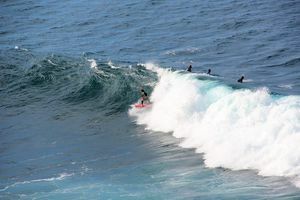 In Portugal, you will find waves for every taste and discipline: tubular, perfect for surfing and bodyboarding; long, so long they are considered among the longest in Europe; even giant ones, making it a challenge for the most adventurous. 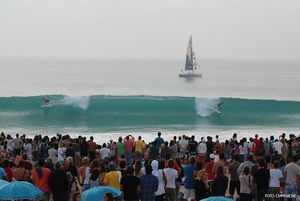 The best locations for surfing are: Ericeira, Peniche, Nazaré, Algarve, Alentejana coast, Madeira, and Azores. Wind is a powerful ally as well, and thanks to him, you will find the best conditions for windsurfing and kitesurfin. 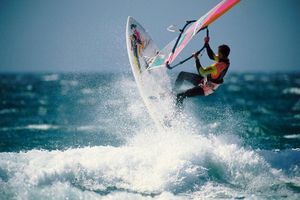 In fact, windsurfing is a popular sport all along the Estoril coast, especially in Praia do Guincho, the beaches of Algarve, and the litoral of Madeira. Furthermore, after an enjoyable day at sea, night follows with a great party, a festival, or in a bustling club where fun is guaranteed every night! 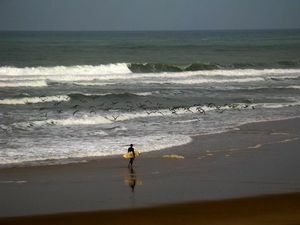 The practice of surf is regulated in each beach. It is worth noting that water temperature is lower than in most Southern-European countries. Therefore, it is advised to used neoprene suits even in summer. Both suits and boards can be rented in the surfing stores and campings. Discover the best spots for surfing on this typical Surfing destination. Have a great time practising surf in one of the best areas of the Portuguese littoral. 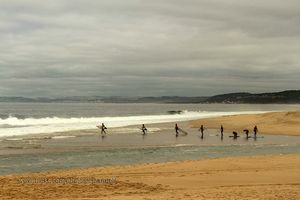 ractice Surf in Mafra at the International Surf Reserve. If you enjoy practicing aquatic sports with much adrenaline then you should discover the best places to practice or try Surf and Windsurf in Costa do Estoril. Discover the best beaches to practice Surf, one of the excellency sports on this region. If you enjoy surfing or are looking for a chance to try out this aquatic sport discover the best places to do it. Practise your favourite sport and spend an exciting holiday in Alentejo. Boost your adrenaline by surfing or windsurfing in the Archipelago of Madeira.